Ci2012 SCHOLARSHIPS WINNERS HAVE BEEN ANNOUNCED! 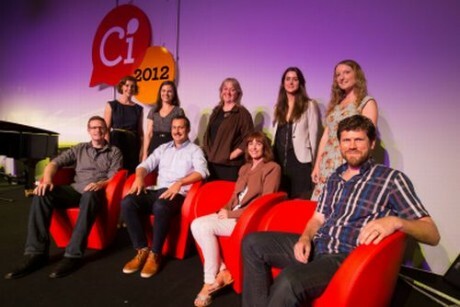 With well over 100 outstanding applicants received from around Australia, the selection panel has named 10 winners of the Innovation Leader Scholarships for Ci2012. For further information, please refer to the Media Release. We saw an opportunity to find out more about the combination of factors that make up human creativity by inviting Genesys Australia to assess Ci2012 scholarship applicants who volunteered to be involved. Read the summary of research here. Fostering Australian innovation and digital start-ups is at the heart of Ninefold. In that spirit, we are offering all Creative Innovation winners $2000Ninefold credit per month for up to a year*. The prize includes technical sales consultation for setup and opportunities for submitting guest blog posts on the Ninefold blog. Only pay for the resources you use. No plans and minimum spend. Multiple Availability Zones allow you to architect for maximum uptime. Standard Ninefold Terms and Conditions apply. *Microsoft products (other than Windows Server) licensed under SPLA (eg. SQL Server 2012 & Remote Desktop Services) and Ninefold’s Cloud Drive (powered by Oxygen) service are not included in the monthly credit.